The future is here. But, without the history, we don't have the information needed to shape our future. This page will be dedicated to the history of immigration consulting profession. We will begin with an excellent article written by Roxanne McInnis Jessome on What does it mean to be a regulated consultant. Thank you, Roxanne! On December 13, IMEDA and CAPIC presented the first part of series called History of our profession. You can download the recording of the debate below. 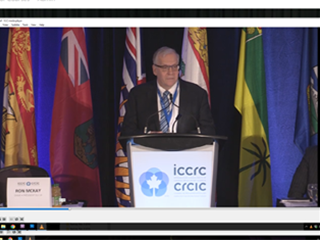 You can also watch a recording of the last ICCRC AGM. You will have to create an account and log into it to see the recordings - it's two parts.